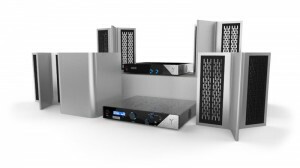 This groundbreaking state-of-the-art surround sound system highlights the best of Involve’s technologies. 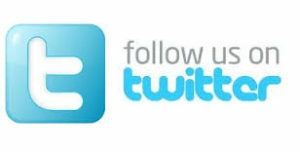 This system will provide you with an elegant looking and incredible sounding entertainment and home theater experience. This elegant, high quality sound system will captivate you with its good looks and amazing sound. The Akoustos™ Y2 Home Stereo System can be upgraded anytime to an Akoustos ™ Y4 Professional Stereo System with Involve and Sweet Spot! Now you can turn your old stereo, or even upgrade your old Dolby or other surround sound amplifier, into an Involve Surround Sound System that produces sound like you have never experienced before. 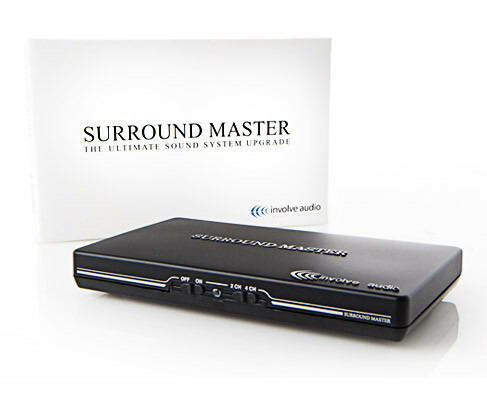 The Surround Master ™ can be used with all legacy stereos that have a 5 speaker pass-thru which can be set to bypass audio enhancements. These lightweight, powerful and affordable speakers are based on a proven, and until recently, very expensive technology called electrostatic. Our Sonic Electrostatic Speaker Panels (Sonic ESP™ ) are produced and sold at a much lower cost than previously available and produces an incredibly full sound that’s crisp and clear. Involve Audio’s Sonic ESP™ panels will make any room sound and look stunning. Basic colors are black, white, blue, green and red. The Involve Studio Encoder has been designed to enable a recording engineer to precisely record 4 or 5 channels into a fully compatible stereo format that is completely indistinguishable from standard stereo. The process is an analog process implemented with digital DSP processing, which is completely “lossless” and produces a stereo output of two analog channels, The Involve surround encoded file can be played on iPod, radio, TV, CD’s, DVD’s and cable TV with no loss in fidelity, and no apparent loss in channel separation.